You’re browsing Amazon listings looking for a new frying pan, and you have no idea which kind you should buy. You narrow it down to three types. They’re the same price, they all look relatively identical, and you don’t have any associations with the brand names to draw on. They’re pretty much all the same frying pan except for one key difference. One of the pans has a bevy of long user reviews, each from a verified purchaser, with dozens of images uploaded—the pans being unboxed, the pans being used, etc. The other pans don’t. Social proof guides much of consumer purchasing behavior on the web these days. Whether it’s in deference to experts or the wisdom of the crowd, we tend to ascribe correctness to what we see other people doing and buying and saying. And user-generated content, or UGC—the kind you see when you look at Amazon reviews—is one of the most powerful forms of social proof today. With the wide use of social media, it’s easier than ever for people to share what they think about products through statuses, photos, and videos. Brands can then easily repost the UGC on their social accounts to show their customer base how much others love their products. This guide covers the basics of UGC and 9 examples of ecommerce brands making the most of user generated content. By looking to these companies, you’ll have plenty of ideas for driving buyers to your business through user generated content. UGC is any type of content that’s created by buyers about a brand or product. Unlike a form of sponsorship, consumers aren’t paid to post their UGC. Having users independently post this content makes the promotion feel more authentic and convincing to other buyers. Buyers are highly motivated by other shoppers’ experiences. 85% of buyers said that they find UGC more influential than brand-created content. With the power of social proof, people are more likely to purchase from your online business if they see others promoting your brand. The visual element of UGC is impactful. Typically a photo or video, UGC is image-based. Our brains gravitate towards these visuals—90% of the information transmitted to the brain is visual, and we process images 60,000 times faster than text. With this natural inclination, the photos and videos of UGC resonate with buyers. People love using social media. Nearly 70% of adults in the U.S. use social media, the medium for sharing UGC. This wide usage makes UGC an effective way to spread awareness around your brand and products. It’s a low-cost form of promotion. With UGC, you don’t pay buyers to promote your brand to preserve the authenticity of their content. You only have to manage your social media to promote UGC — a small cost for such a powerful form of promotion. As an affordable, psychological, and highly visible form of promotion, UGC can influence consumers to trust your brand and purchase your products. Where do users post UGC? Of all the platforms, Instagram is the most common for UGC. 60% of social media influencers agreed that Instagram is the best platform for engagement due to its visual nature, simplicity, and usability on mobile devices. With these factors, users are ready and eager to share content about their favorite products through Instagram. To really harness the power of UGC, you can’t just rely on users to post content—you also have to promote this content through your own social media presence. On Instagram, you can spread UGC by creating a hashtag for people to use when they post about your business. Users can then easily explore your content through the hashtag’s feed, and you can repost the content to your business’ account to share with your buyers. We’ve collected 9 awesome examples of ecommerce brands who know how to drive UGC on Instagram with hashtags and campaigns. Let’s dive in to see how they do it. The activewear line Outdoor Voices knows how to encourage UGC that feels authentic. Instead of exclusively focusing on their products, the brand asks users to capture moments when they are #doingthings that are active and fun. The UGC in this campaign feels sincere because it highlights the individual, not just the business. UGC Takeaway: Highlight how your product is used in everyday lives. Showing users your product in action will make it easy for them to imagine themselves using your products. The clothing line Madewell motivates users to create content about their products through a reward—being showcased on the company website’s #everdaymadewell gallery. They even offer users tips on their site for creating UGC to get included in the gallery. Offering the possibility of being on Madewell’s website, their hashtag is wildly popular with nearly 270K posts. UGC Takeaway: Motivate users to create content about your brand by offering some sort of recognition. Clearly explaining to users what they can get out of participating in your campaign will get them excited about creating content. Glossier heightens the impact of UGC by targeting major influencers on Instagram. These users receive early Glossier merchandise and post product reviews and images through the #glossier hashtag. This tactic seems to be working for Glossier—the company attributes 90% of their revenue to word-of-mouth, unpaid promotion. By encouraging UGC from people with so many followers, Glossier is able to share UGC with an incredibly wide base of users. UGC Takeaway: To spread brand awareness, connect with major Instagram influencers in your industry. By focusing on Instagrammers in your sector, you’ll be reaching followers who are more likely to be interested in your business. The camera company GoPro‘s Photo of the Day campaign drives tons of UGC. GoPro reposts one user’s photo that used the #GoPro hashtag that day. Offering the Photo of the Day recognition, the campaign motivates users to post high-quality, awesome images. The winning photos are all spectacular, so users know that they have to up their photography skills if they want to be selected. UGC Takeaway: Reposting UGC regularly shows people that they have lots of opportunities to be showcased on your account. Driven by this potential recognition, users will frequently use your hashtag and share photos about your brand. The UGC of the luxury footwear brand Louboutin works because it fits their brand image. Known for their red sole footwear, the brand has a #SomethingRouge Instagram campaign for users to post photos wearing Louboutin shoes. The user photos that are reposted are impressive, captivating, and practically indistinguishable from their brand-generated content. Louboutin saw a 26% increase in engagement with this UGC campaign with nearly 20,000 more likes and comments than branded content. UGC Takeaway: Be somewhat selective in choosing content from users that fits your brand image. The cohesive look of the UGC on your account will be more attractive to buyers than a large, mismatched group of photos. The women’s clothing company Aerie has drawn lots of UGC by using their campaign to empower customers. The company’s #AerieREAL campaign asks users to post unretouched photos of themselves wearing Aerie clothing. Rooted in body positivity, the campaign has grown wildly popular with almost 90,000 posts in the hashtag. UGC Takeaway: People want to support important causes—give them an opportunity to do so through UGC. Users will feel motivated to spread awareness about your brand if your Instagram campaign is meaningful and serves a larger purpose. Marc Jacobs attracts UGC by offering the reward of a lifetime: being hired by the company. The brand has launched several #CastMeMarc campaigns to hire models and beauty vloggers. The 2014 campaign was so successful that #CastMeMarc was Instagrammed over 12,000 times in 24 hours. UGC Takeaway: Create a contest with a reward you know your users will love. The bigger the prize, the more users that will be driven to participate in your UGC campaign. Nike ran a successful Instagram campaign by making it easier than ever for users to share content. Instead of buyers needing to take a photo, the Nike PhotoID tool applied colors from users’ favorite Instagram pic to design a customized Air Max shoe. 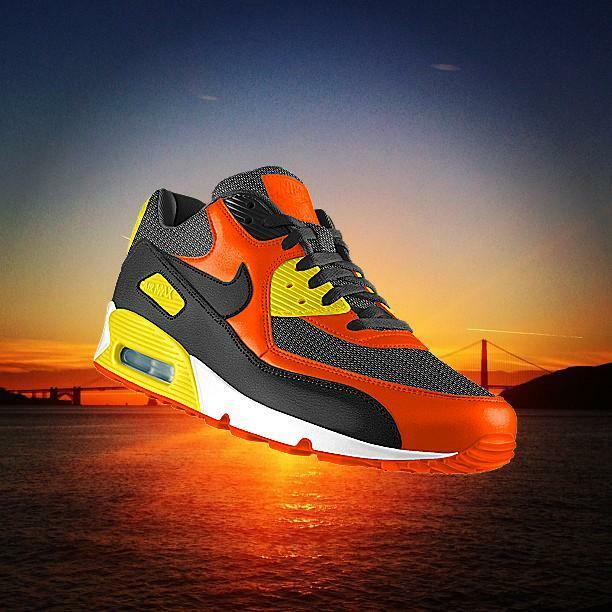 Users were asked to share their pic through the #airmax hashtag. It generated tons of content—over 100,000 shoes were created in the first week. UGC Takeaway: Even for regular Instagrammers, taking a selfie to post on a brand’s widely-seen hashtag can be a little scary. Instead of asking users to create something completely new, let them customize photos they already love to highlight your brand. The clothing company Camping With Dogs has mastered UGC by focusing on something everyone loves: cute pet photos. The company’s Instagram is entirely filled with users’ photos of their dogs on camping trips. Without even knowing about the company, many users are led to the account because they want to see these dog pics. Having 528K followers, the company has managed to spread so much brand awareness through their product-less #campingwithdogs campaign. UGC Takeaway: When creating a UGC campaign, think about what aspects of your business are photo-worthy rather than only thinking of your products. If your concept is strong enough, people will be driven to your account, setting them up to easily connect with your brand. It doesn’t matter how well-written your product descriptions are—most online buyers won’t commit to your brand without social proof. Before making a purchase, shoppers want to know that others have enjoyed your products. The more authentic this social proof feels, the more likely the consumer is to make a purchase. User-generated content is one of the most genuine forms of social proof—and that’s why it’s so effective. Rather than telling people why your business is great, you cultivate a community of true brand loyalists through UGC campaigns. Seeing how your brand positively impacts real lives, outside consumers trust your business and feel ready to make their first purchase.